With a claimed range of 100 miles, it certainly seems apt to handle short drives, and Cummins said it only takes an hour to charge. By the time it’s introduced in 2020, Forbes reports, the company hopes to drop that number to 20 minutes. 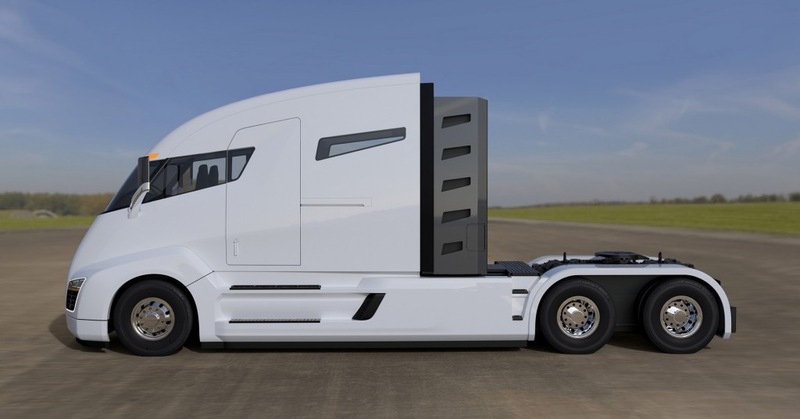 A hybrid, with a diesel engine used on-board as a generator, is planned later and will offer 300 miles in range. Nevertheless, chemotherapy takes a toll on the body. During treatment, chemotherapy attacks all of the body’s cells, not just cancer cells. The result destroys healthy cells, causing many patients to suffer major side effects during and after treatment. And because current treatments aren’t specifically targeted to cancer cells, only 0.01 percent of chemotherapy drugs actually reach the tumor and its diseased cells. “I’m working on figuring out how we can deliver more of the chemotherapy drugs to the tumor and less to healthy cells,” says Sofie Snipstad, who recently graduated from the Department of Physics at the Norwegian University of Science and Technology (NTNU). Last year, she won a Norwegian science communication competition for PhD candidates called Researcher Grand Prix. When she made her winning presentation about her research during the competition finals, she was in the middle of testing a new method of cancer treatment on mice. Her study has just been published in the academic journal Ultrasound in Medicine and Biology (“Ultrasound Improves the Delivery and Therapeutic Effect of Nanoparticle-Stabilized Microbubbles in Breast Cancer Xenografts”). Snipstad’s method targets cancerous tumors with chemotherapy so that more of the drug reaches cancer cells while protecting healthy cells. The experiments were conducted in mice with an aggressive breast cancer type (triple negative). “My research shows that this method allows us to supply 100 times more chemotherapy to the tumor compared to chemotherapy alone. That’s good,” Snipstad says. “For the treatment to be effective, it has to reach all parts of the tumor. So our nanoparticles need help to deliver the medicine,” she said. The nanoparticles used by Snipstad and her research team were developed at SINTEF in Trondheim. SINTEF is one of Europe’s largest independent research organizations. The particles are unusual because they can form small bubbles. The nanoparticles are in the surface of the bubbles. The bubbles that contain the chemotherapy-laden nanoparticles are injected into the bloodstream. Ultrasound is then applied to the tumor. The ultrasound causes the bubbles to vibrate and eventually burst, so that the nanoparticles are released. The vibrations also massage the blood vessels and tissues to make them more porous. This helps push the nanoparticles further into the cancerous tumor, instead of only reaching the cancer cells closest to the blood vessels. “By using ultrasound to transport the chemotherapy-laden nanoparticles into the tumors, our research on mice has shown that we can deliver about 250 times more of the drug to the tumor compared to just injecting chemotherapy into the bloodstream alone,” she says. “One of the things that I like about this project is that so many good people with different backgrounds are involved. 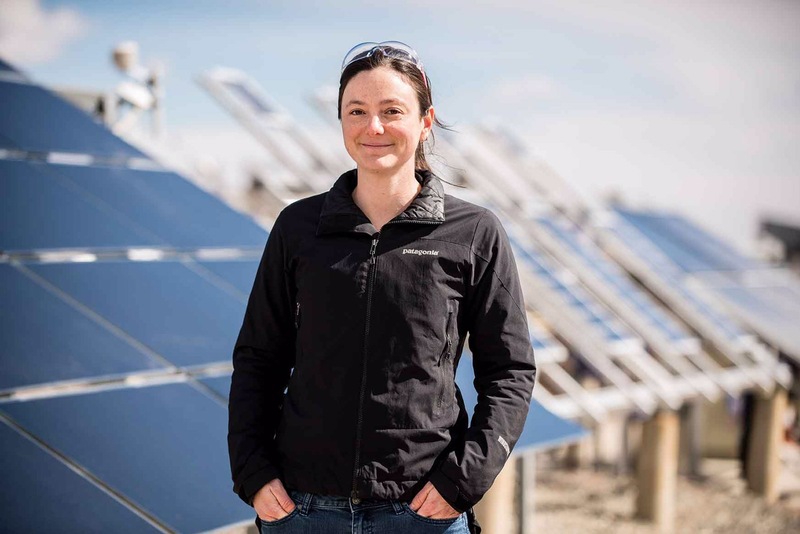 Trondheim has a very good interdisciplinary environment, and this project needs all of these different disciplines for us to make progress,” Snipstad said. 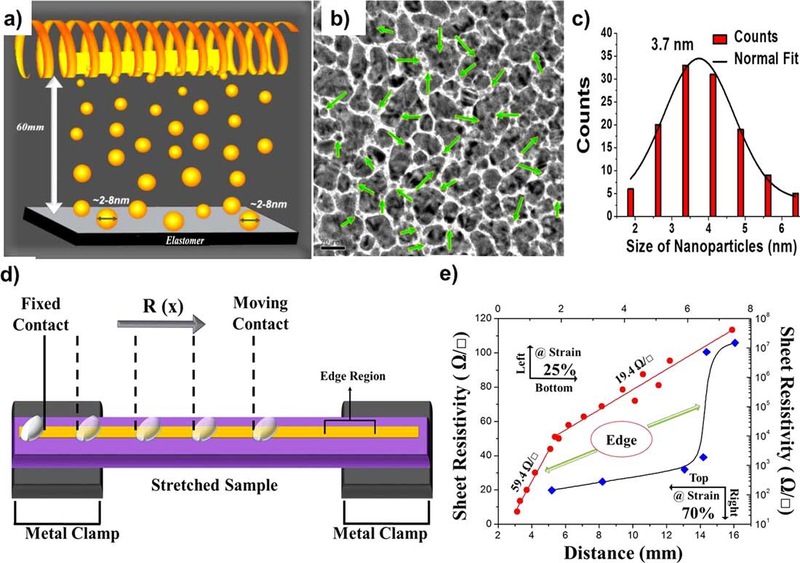 Researchers have fabricated highly deformable and stretchable conductors utilizing a Coil Flash Thermal Evaporation (CFTE) of gold nanoclusters that form robust thin metallic layers and maintain conductivity up to 200% on PDMS and 150% on textured rubber. The CFTE method is known to produce gold nanoclusters with low ionization and kinetic energies, which minimizes carbonization of elastomers during deposition. As the researchers report in ACS Applied Materials & Interfaces (“Facile Fabrication of Ultra-Stretchable Metallic Nanocluster Films for Wearable Electronics”), high metal-elastomer adhesion is obtained with textured substrates. The CFTE-gold films on textured substrates are highly robust and perform significantly better than e-beam, sputtered and implanted electrodes and exhibit only a small increase in resistance with strain (25 Ω-sq-1 at 100% strain). The films stretch and relax in a bellow type open-and-close mechanism which allow for a robust performance with cyclic straining. The CFTE is a one-step low vacuum process (0.5 × 10-2 millibar), not requiring intensive fabrication setups and large processing durations associated with other vapor deposition based processes. The authors point out that the facile nature of this process opens up possibilities for easy incorporation of these electrodes for various functionalities involving deformable electronics like textile electronics, biointerfacing of devices, lab-on-chip devices, robotics, and stretchable metallic interconnects. “Low cost and high throughput should make it possible to easily facilitate the integration of this process into numerous industrial production lines and clean room fabrication setups for ubiquitous electronics,” they conclude their report. Now, observations in experiments at the National Graphene Institute have provided essential understanding as to the peculiar behaviour of electron flows in graphene, which need to be considered in the design of future nanoelectronic circuits. In some high-quality materials, like graphene, electrons can travel micron distances without scattering, improving the conductivity by orders of magnitude. This so-called ballistic regime, imposes the maximum possible conductance for any normal metal, which is defined by the Landauer-Buttiker formalism. Appearing today in Nature Physics (“Superballistic flow of viscous electron fluid through graphene constrictions”), researchers at The University of Manchester, in collaboration with theoretical physicists led by Professor Marco Polini and Professor Leonid Levitov, show that Landauer’s fundamental limit can be breached in graphene. Even more fascinating is the mechanism responsible for this. The new research demonstrates that this viscous fluid is even more conductive than ballistic electrons. The result is rather counter-intuitive, since typically scattering events act to lower the conductivity of a material, because they inhibit movement within the crystal. However, when electrons collide with each other, they start working together and ease current flow. Transportation is the largest consumer of oil and the globally, it’s the biggest source of pollution, greenhouse gases, soot and fine particulates; gasoline and diesel have fuelled global transport and been the lifeblood of the international oil majors and national oil companies. That, however, may be changing. Oil’s power density and affordable price has made alternatives non-starters, pushed many mass transit systems to bankruptcy, and made auto, tyre, road construction, and insurance companies rich. Then came Tesla, for the first time offering a slick, high-performance car with reasonable range. 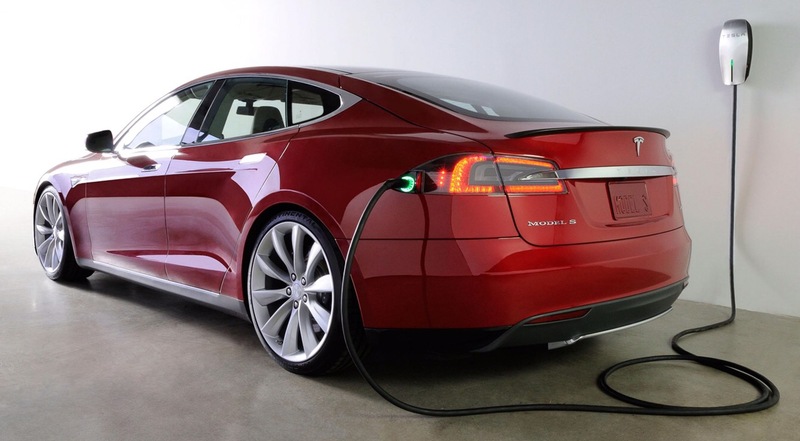 Currently too expensive for the mass market, Tesla has nevertheless challenged the internal combustion engine (ICE) industry and forced virtually all car markers to get into electric vehicles. With a $5 billion gigafactory just completed in July 2016 near Reno, Nevada. Tesla is promising to move mainstream, offering more affordable cars with decent range. That is all wonderful. But Tesla and all other electric and hybrid cars still suffer from lack of charging infrastructure, and even when that is in place, drivers will have to take long breaks on long drives to recharge their batteries. Depending on the details, 90 minutes or more are typically needed to more-or-less recharge an empty car battery, an annoying wait compared to a five-minute fillup at the corner gas station. Moreover, even with Tesla’s slick design, the batteries are heavy and can only be charged/discharged so many times, after which their performance drops. 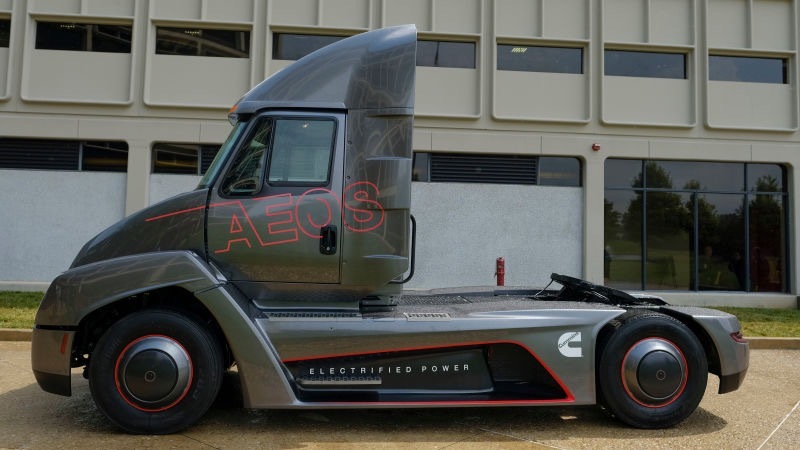 Trucks and heavy-duty vehicles pose even more difficult challenges if they are not recharged frequently – not always convenient or practical. Batteries, in other words, are not a perfect substitute for cheap petrol which is available nearly everywhere you go. What would be ideal is a light, inexpensive battery that can pack large amounts of energy in a small space, can be charged more or less instantly, and discharged more or less indefinitely without loss of performance. That would be the holy grail of storage, not only challenging the ICEs but also making Tesla’s gigafactory virtually obsolete before it starts mass production. 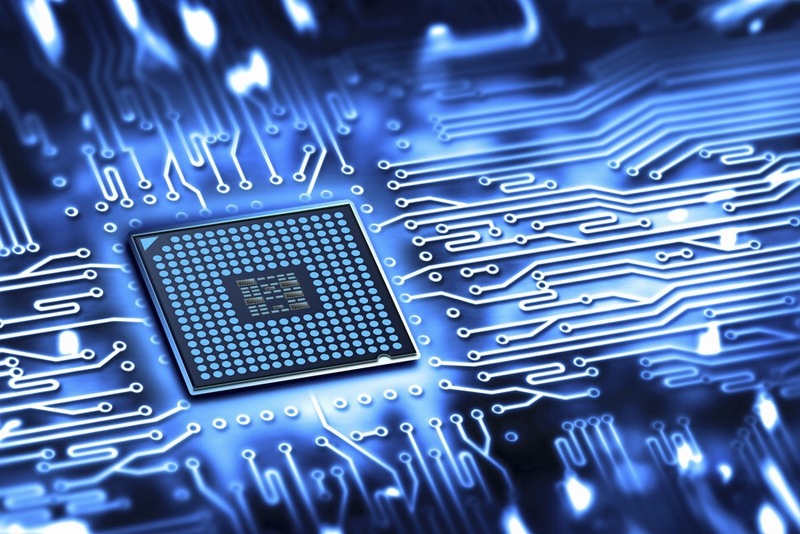 As the technology moves out of the laboratory, he expects it to initially find a role in high-value applications such as mobile phones and computers, followed by other applications such as electric vehicles. 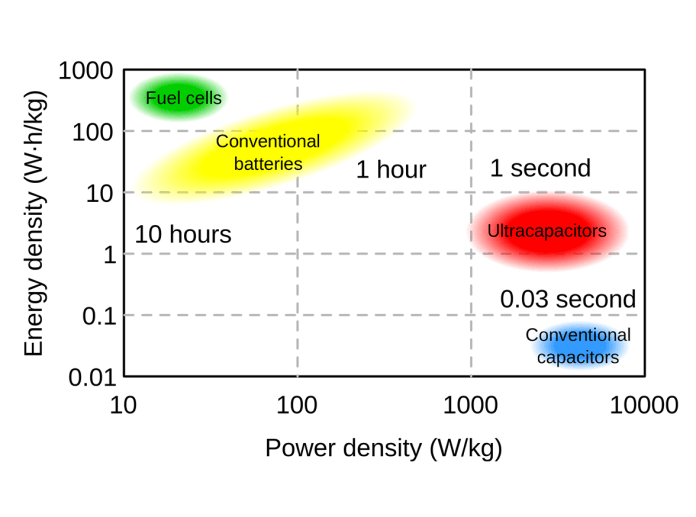 The ability to fast-charge a supercapacitor in, say, two minutes or so, will solve the range anxiety associated with current EVs. Imagine pulling into an electric charging station and getting more or less fully recharged in the amount of time it takes to fill up your tank with gas. 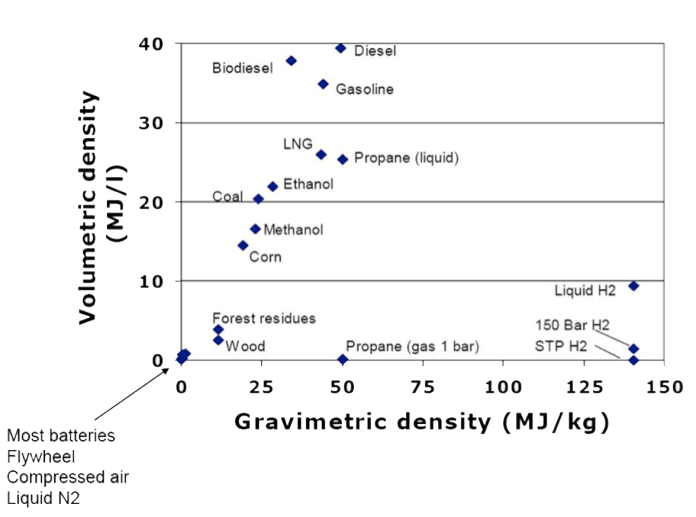 Who needs clunky, noisy, polluting cars, or even Tesla batteries? The same fast-charging supercapacitors can power mass transit buses in cities around the world. If the bus’ supercapacitor can be charged in two minutes or less, then every bus stop can be a charging station, allowing the bus to travel long distances without ever running out of juice. That would be a game changer. Tesla, which is facing many daunting deadlines and competition from multiple directions, may find that its gigafactory is a losing bet if supercapacitors come to deliver as their proponents claim. Now THAT … That would be yet another game changer! By developing self-adhesive OPV-films, OPVIUS together with S+L Selbstklebeprodukte GmbH are broadening the horizons for OPV products and OPV integration. Imbedding OPVIUS modules in transparent carrier materials, for example glass or foil membranes, has been possible for some time. Their integration into laminated polycarbonate sheets was recently presented as part of an installation at the Climate-Pavilion at the State Horticultural Show in Thüringen. The integration techniques developed up until now are mainly aimed at integration, that is to say embedding the module in the carrier material by way of a lamination procedure. This is generally limited to transparent materials and predominantly serves the market for original equipment manufacturers. 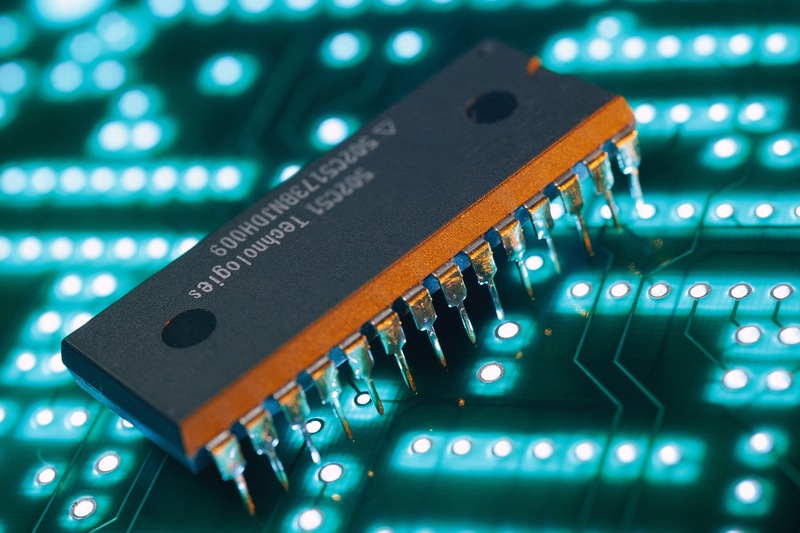 OPVs can be integrated directly into construction materials whilst they are manufactured, and are therefore installed together with these materials. By developing self-adhesive OPVIUS products, an additional solution can now be provided that will be of interest when retrofitting existing surfaces, as well as for use on non-transparent carrier materials. S+L Selbstklebeprodukte GmbH’s many years of experience working with stickers for public transport as well as the manufacturing of classic car decals is of central interest to OPVIUS GmbH. Their expertise in various applications, processing procedures, and working with new technologies in the field of foils, all build the foundations of a joint collaboration. Combined with OPVIUS’ production technology and the resulting freedom in terms of colour and form, this expertise will enable users to obtain customised products that are easy to install. This will significantly expand the range of applications of printed organic photovoltaics. 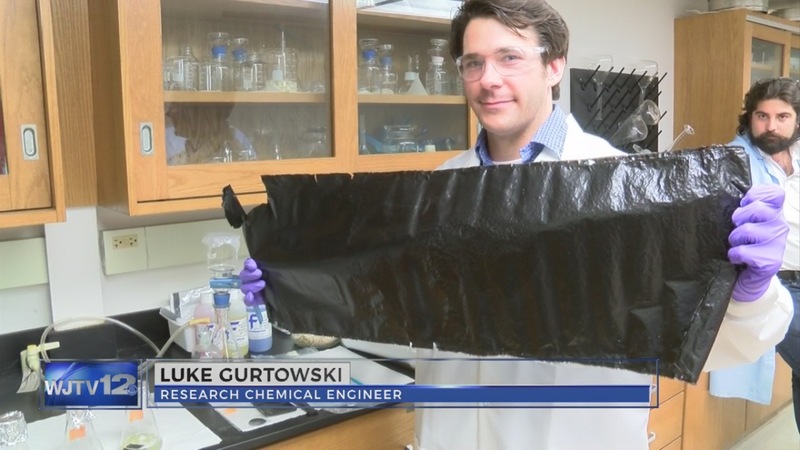 “By developing self-adhesive OPV foils, we can bring our products further into the market, and make them available to an additional user-group. OPVIUS stickers provide many new solutions, particularly for already existing surfaces” says Hermann Issa, Senior Director, Business Development and Sales, OPVIUS. “The need for high quality in order to ensure a good and lasting adhesive bond is frequently underestimated. In this regard, in terms of cooperation, S+L Selbstklebeprodukte GmbH was our first choice for implementation. It has paid off.” Christian Lins, Business Director of S+L Selbstklebeprodukte GmbH added: “A good adhesion needs to work both visually and flawlessly in terms of function, and needs to last in both indoor and outdoor settings. Energy Independent Electric Vehicles 2017 on 27 – 28 Sep 2017 in TU Delft, Delft, Netherlands hosted by IDTechEx. New research from The University of Manchester has demonstrated flexible battery-like devices printed directly on to textiles using a simple screen-printing technique. The current hurdle with wearable technology is how to power devices without the need for cumbersome battery packs. Devices known as supercapacitors are one way to achieve this. A supercapacitor acts similarly to a battery but allows for rapid charging which can fully charge devices in seconds. Now a solid-state flexible supercapacitor device has been demonstrated by using conductive graphene-oxide ink to print onto cotton fabric. As reported in the journal 2-D Materials the printed electrodes exhibited excellent mechanical stability due to the strong interaction between the ink and textile substrate. Further development of graphene-oxide printed supercapacitors could turn the vast potential of wearable technology into the norm. High-performance sportswear that monitors performance, embedded health-monitoring devices, lightweight military gear, new classes of mobile communication devices and even wearable computers are just some of the applications that could become available following further research and development. To power these new wearable devices, the energy storage system must have reasonable mechanical flexibility in addition to high energy and power density, good operational safety, long cycling life and be low cost. “It will open up possibilities of making an environmental friendly and cost-effective smart e-textile that can store energy and monitor human activity and physiological condition at the same time”. 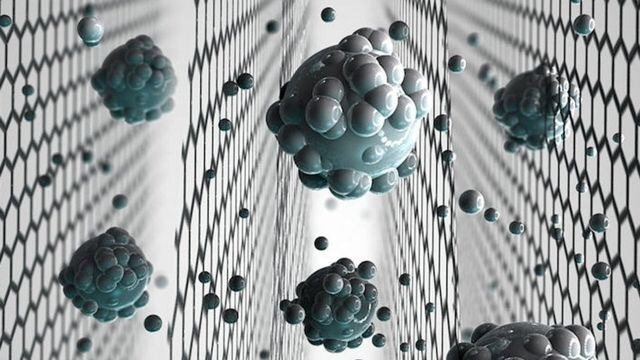 Graphene-oxide is a form of graphene which can be produced relatively cheaply in an ink-like solution. This solution can be applied to textiles to create supercapacitors which become part of the fabric itself. The University of Manchester is currently completing the construction of its second major graphene facility to complement the National Graphene Institute (NGI). Set to be completed 2018, the £60m Graphene Engineering Innovation Centre (GEIC) will be an international research and technology facility. 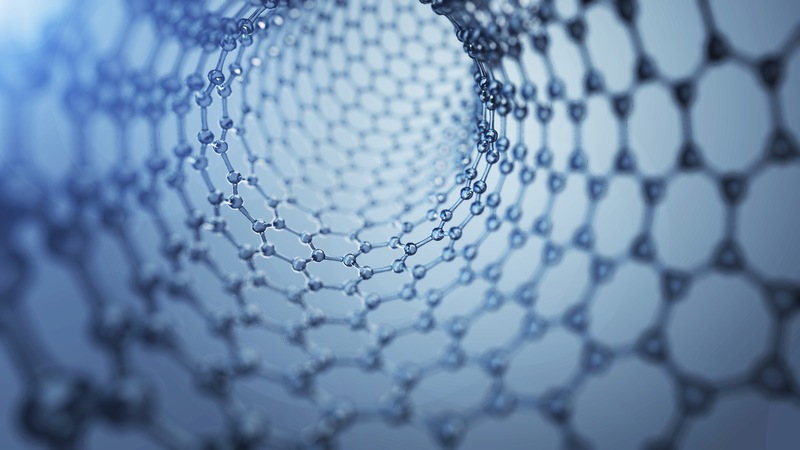 The GEIC will offer the UK the unique opportunity to establish a leading role in graphene and related two-dimensional materials. The GEIC will be primarily industry-led and focus on pilot production and characterisation.